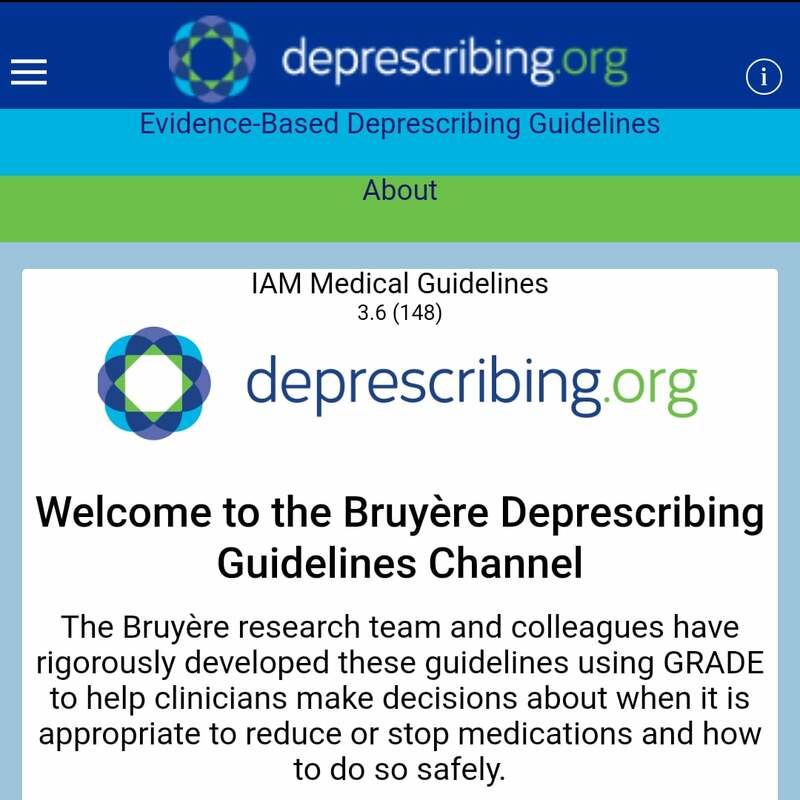 The goal of the Bruyère Deprescribing Guidelines Research Team is to share and exchange information about current deprescribing approaches and deprescribing research. Deprescribing is the planned and supervised process of dose reduction or stopping of a medication that may be causing harm or may no longer be of benefit. Internationally renowned guidelines, in the palm of your hand. To help clinicians make better decisions about whether or when to deprescribe a medication, our research team has created a series of drug-specific deprescribing algorithms. These are evidence-based guides designed to help prescribers make appropriate decisions on whether a medication should be reduced or removed from a patient’s regimen. These algorithms are currently only available on the team’s official website. To make these algorithms more accessible, the Bruyère Deprescribing Research Team is developing a smartphone app that will feature all of the currently available deprescribing algorithms. The goal is for clinicians to use the app as an easy reference to help in their decisions around deprescribing.